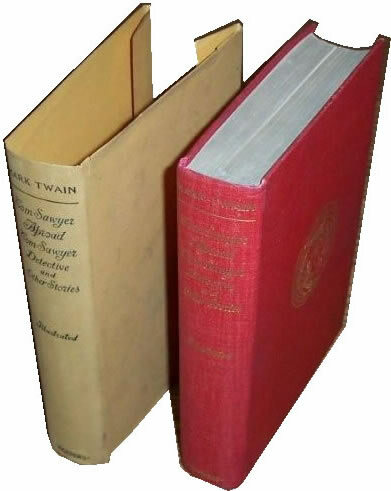 Harper and Brothers began issuing Mark Twain's books in uniform binding in 1896 beginning with five books they acquired in their contract with Olivia Clemens. As Harper acquired rights to additional Mark Twain books, they added to the list of titles bound in red cloth with the gold cornstalk monogram. The official name Harper assigned to this set ranged from "New Library Edition" to "New and Uniform Library Edition" to "Uniform Edition." An advertisement in the book review section of The New York Times on April 10, 1897 referred to the books as "New Library Editions. Introduced in 1896, Harper's cornstalk bindings featured a gold cornstalk MT monogram stamping on the front cover. Titles were stamped in gold on the spine. 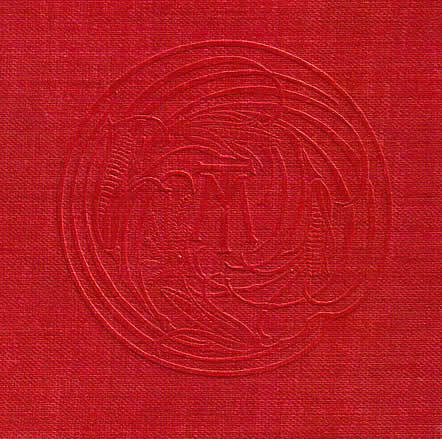 The 1896 Harper volumes featured uniform bindings of red cloth and circular gold corn husks around an MT monogram on the front. Early bindings also featured a blind stamped impression of the cornstalk on the back cover. The back cover impression was eliminated on later printings. Early printings featured the blind stamped cornstalk monogram on the back cover. The volumes were not issued as sets and included no volume numbers. Illustrations that had appeared in the lavishly illustrated first editions were often eliminated. Frequently illustrations that were once imbedded in text in the first editions were reprinted as full-page plates. By 1907 Harper had issued eighteen volumes in this series and advertised them in both cloth and half leather for an additional $1.25 extra. No samples of the half leather volumes have been located. Ad from the back of the title page for an edition of Tom Sawyer Abroad printed after 1907. By 1922 any specific edition name for the Harper red cloth uniform series had been dropped from the title pages. Harper would eventually publish at least 26 titles in the red cornstalk bindings. The vast majority of the cornstalk uniform editions found today are later printings. Book buyers and sellers have often mistaken the older copyright dates as the actual dates of printing. The later reprintings often feature fewer full-page illustrations than earlier printings of the same title, lack the cornstalk impression on the back cover and are printed on less expensive paper. Sometimes ads for other books in the series offer clues to the actual date of printing. The Harper cornstalk series were issued in dust jackets. The jackets on the first few volumes of the Uniform Edition issued in 1896 were buff paper and were blank except for lettering on the spine. The end flaps were short and the jacket likely served as a protector during shipping rather than a collectible. Most jackets were discarded once a book reached its final destination and was proudly displayed on the home library shelf in a row of red and gold. Few of these jackets have survived. According to rare book dealer Kevin Mac Donnell, in 1900 The Man that Corrupted Hadleyburg was the first jacket in the series that featured printing on the front and back panels and flaps. The jacket for that book featured ads on the rear panel for books by John Kendrick Bangs. The dust jacket flaps for books after 1902 had a boxed ad for a book on one flap and a boxed "how to open a book" instruction on the other flap; this became the usual pattern with very little variation. By the time The $30,000 Bequest was added to the series in 1906 the front panel included a boxed ad for the Uniform Edition of Mark Twain's works and the flaps were longer. When Christian Science was added to the series in 1907, the jackets featured titles on the spine and front panel. The rear panel contained a Uniform Edition boxed ad for Mark Twain's works. The Harper cornstalk editions were first issued in dust jackets featuring lettering on the spine only. Few samples have survived. This photo of the 1896 edition of Tom Sawyer Abroad is from the Kevin Mac Donnell collection. The boxed ads for the Uniform Edition on the jackets of Twain's Harper books are useful for dating the jackets. The earliest state of a given jacket generally has ads that list the titles in the Uniform Edition ending with the latest book The boxed ads usually included both his Uniform Edition titles in one list and his non-Uniform Edition titles in a second list, and these boxed ads appear on the rear dust jacket panels of nearly all of Mark Twain's books into the 1920s. The American Claimant and Other Stories and Sketches (1896) - consists of books previously published by Webster and Company including The American Claimant (1892), Merry Tales (1892), and The £1,000,000 Bank-Note, and Other New Stories (1893). Combines the three books into one volume, deleting two short stories from Merry Tales. Retains the original illustrations drawn by Daniel Carter Beard for The American Claimant (1892). Adventures of Huckleberry Finn (1896) - consists of a frontispiece portrait of Clemens and 24 of the original 175 illustrations that Edward Windsor Kemble drew for the 1884 first edition of the book. Life on the Mississippi (1896) - retains 30 of the 310 illustrations used in the 1883 first edition published by James R. Osgood. A Connecticut Yankee In King Arthur's Court (1896) - features 24 full-page illustrations by Daniel Carter Beard from the 1889 first edition; by 1924 the volume featured only 16 full-page illustrations. The Prince and the Pauper (1896) - features 25 full-page illustrations of the 191 illustrations originally published in the 1881 edition. Tom Sawyer Abroad/Tom Sawyer Detective (1896) - a collection of 20 previously published items including Tom Sawyer Abroad which was published by Webster and Company in 1894 and The Stolen White Elephant, a collection of stories published by James R. Osgood in 1882. The book contains 25 full-page illustrations by Daniel Carter Beard for Tom Sawyer Abroad and 21 illustrations by Arthur Burdette Frost for Tom Sawyer, Detective which was serialized in Harper's Magazine in 1896. Later printings in the red cloth cornstalk binding reduced the total number of these illustrations. Personal Recollections of Joan of Arc (after 1896) - contains 32 of the original 37 illustrations from the Harper first edition of 1896. Also contains a special page dedicating the book to Olivia Langdon Clemens that was missing from the first edition as well as the 1899 uniform editions published by American Publishing Company. The Innocents Abroad (after 1903) - included in the series after Harper and Brothers acquired the rights to the work from American Publishing Company in 1903. Harper bound the two-volume set issued by American Publishing Company in 1899 into one book retaining the two-volume format. Retains only four of the six original illustrations Peter Newell had drawn for the 1899 edition. Sketches New and Old (1903) - included in the series after Harper and Brothers acquired the rights to the work from American Publishing Company in 1903. Retains three of the six illustrations that Frederick Burr Opper drew for the 1899 uniform editions from American Publishing Company. Roughing It (after 1903) - included in the series after Harper and Brothers acquired the rights to the work from American Publishing Company in 1903. Harper bound the two-volume set issued by American Publishing Company in 1899 into one book retaining the two-volume format. Retains only six of the eight original illustrations Benjamin West Clinedinst drew for the 1899 edition from American Publishing Company. The Gilded Age (after 1903) - included in the series after Harper and Brothers acquired the rights to the work from American Publishing Company in 1903. Harper bound the two-volume set issued by American Publishing Company in 1899 into one book retaining the two-volume format. Retains all six of the illustrations that William Thomas Smedley drew for American Publishing Company's 1899 uniform edition. The Adventures of Tom Sawyer (1903) - included in the series after Harper and Brothers acquired the rights to the work from American Publishing Company in 1903. Retains three of the four illustrations John George Brown drew for the 1899 uniform editions from American Publishing Company. A Tramp Abroad (after 1903) - included in the series after Harper and Brothers acquired the rights to the work from American Publishing Company in 1903. Harper bound the two-volume set issued by American Publishing Company in 1899 into one book retaining the two-volume format. Retains only six of the original illustrations from the 1899 edition including five by Thure de Thulstrup. Pudd'nhead Wilson (after 1903) - included in the series after Harper and Brothers acquired the rights to the work from American Publishing Company in 1903. Retains two of the five illustrations drawn by Edward Windsor Kemble for the 1899 American Publishing Company editions as well as the illustration by Frank M. Senior for "Those Extraordinary Twins" also from the 1899 edition. Following the Equator (after 1903) - included in the series after Harper and Brothers acquired the rights to the work from American Publishing Company in 1903. Harper bound the two-volume set issued by American Publishing Company in 1899 into one book retaining the two-volume format. Retains six of the original 193 illustrations that appeared in the 1897 first edition. Christian Science (February 1907) - first edition. Contains a frontispiece photo of Clemens and two additional photographs. Mark Twain's Speeches with an Introduction by William Dean Howells (June 1910) - first edition. Compiled by Harper and Brothers bookkeeper Frederick A. Nast. Contains a frontispiece portrait of Clemens. Features a preface that Clemens had written for an English edition of Mark Twain's Sketches. Includes 104 speeches. Revised in 1923 by Albert Bigelow Paine. Mark Twain: A Biography (1912) - three-volume edition written by Albert Bigelow Paine. What Is Man? And Other Essays (May 1917) - first edition. A collection of sixteen essays, some never before published. First publication for items marked with *. Mark Twain's Letters (1917) - two-volume edition edited by Albert Bigelow Paine. In Defense of Harriet Shelley and Other Essays (April 1919) - a collection of nineteen previously published essays. Previously published as Vol. 22 Literary Essays in Harper Author's National Editions after 1917. The Mysterious Stranger and Other Stories (May 1922) - first edition. A collection of seven previously published magazine stories and short works. First collected book appearance for items marked with *. Mark Twain's Speeches with an Introduction by Albert Bigelow Paine and An Appreciation by William Dean Howells (April 1923) - first edition. Revised version of the 1910 edition having additions and omissions as compared to the 1910 edition. Features a frontispiece portrait of Clemens by J. G. Gessford from 1904. Contains only 84 speeches -- 18 of which had not been included in the 1910 edition. Paine also deleted 36 speeches that had appeared in the 1910 edition. Retains Howells's introduction from the 1910 edition but retitles it as "An Appreciation." Presents the speeches in approximate chronological order, the lack of which was a criticism of the 1910 edition. Europe and Elsewhere (May 1923) - first edition. Edited by Albert Bigelow Paine. The book features "An Appreciation" by Brander Matthews which was actually a reprint of the "Biographical Criticism" that had appeared in Volume 1 of the 1899 uniform edition of Mark Twain's Works issued by American Publishing Company. In addition, Albert Bigelow Paine provides an Introduction to the volume. The arrangement is the same sort of arrangement of other volumes that were issued in 1922-25 for the Gabriel Wells Definitive Edition and suggests that this volume was prepared concurrently with the Gabriel Wells volume of the same title. The book contains 35 essays, sketches and travel letters and is a mixture of published and previously unpublished material. There is one full-page frontispiece and illustrations imbedded in the text. First publication for items marked with *. 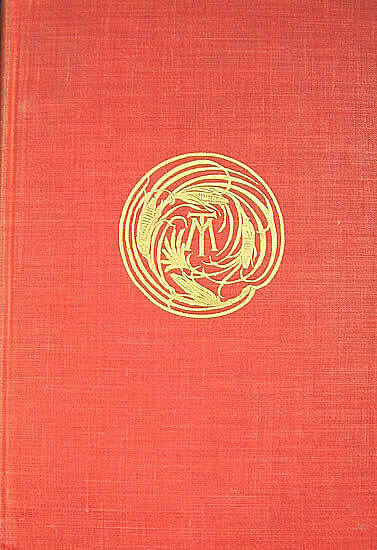 Harper aimed to retain the book buyer who first started their Mark Twain collections with the red cornstalks and wanted to continue adding to their sets into the later 1920s. While the overall design of the set remained the same, during the years of World War I, the quality of paper used in the editions declined. Some of the paper in the earliest volumes of this series have held up better than those volumes published during the war years. Blanck, Jacob. Bibliography of American Literature, Volume Two. (Yale University Press, 1957).